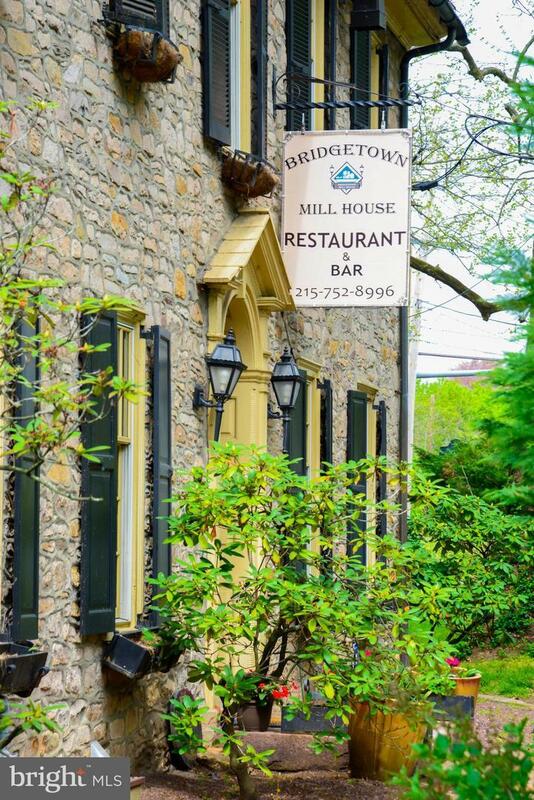 The Bridgetown Mill House Inn and Event Center is your ideal opportunity to own a well-established B&B along with the 250 indoor and outdoor seating restaurant in Lower Bucks county. 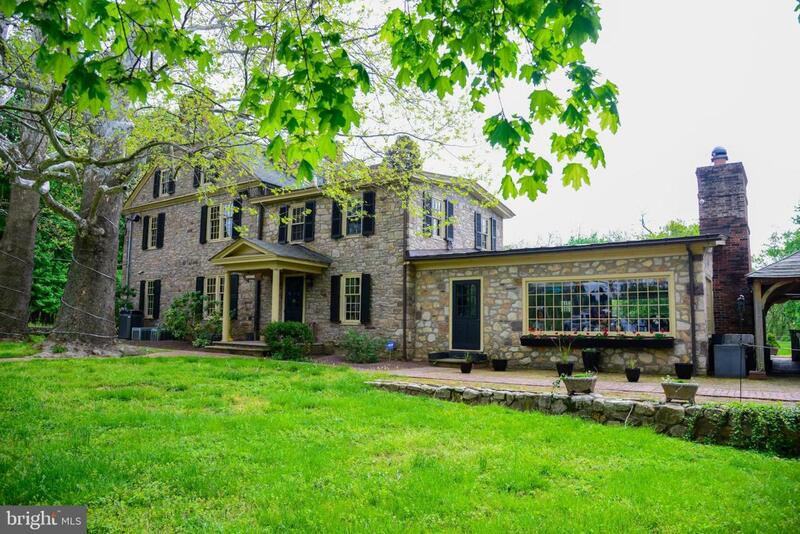 Well-maintained and charming, Bridgetown Mill house was built in 1791. 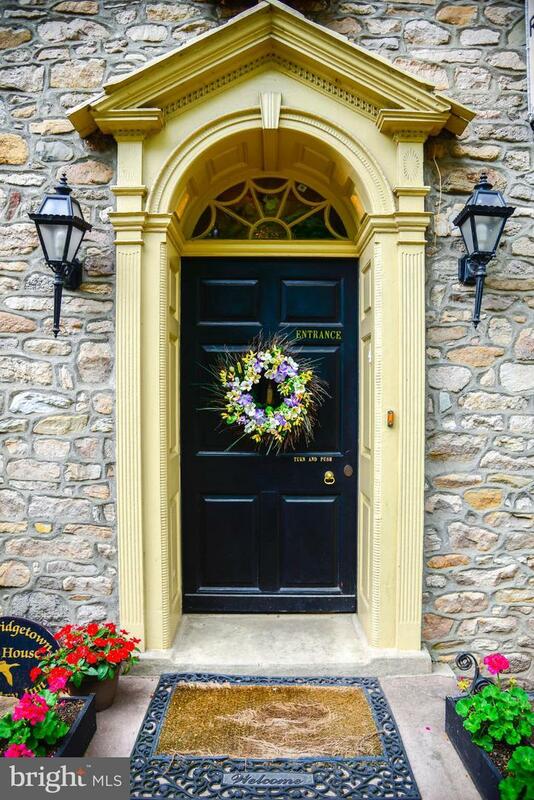 Situated on the 8 acre lot, this historical Inn offers dining rooms and private rooms, the great Hall seating up to 26 quests and the Main dining room seating up to 65 guests, Wood Room ~ up to 24 guests. In addition to the restaurant seating, seasonal wedding tent offers 150 additional seats for the guests. Bed and Breakfast is offering 5 exclusive suites with unique finishes. Each room rents $195- 245/ per day. Historic Stone grist mill on a property ads more charm to this estate and could also be renovated. Two big parking lots. All of this suited on 8 beautiful acres of forest land with Creek View! Large lot offers possibility of sub division. According to the township plans, you can build on 20% of the land, which leaves about 60,000 sq ft for development opportunity, not including the parking lots. The Inn And Event center strategically located on a busy intersection Bridgetown Pike and Langhorne Newtown road. All furniture and equipment are included in the sale. This is the opportunity you have been waiting for. This is a unique ADD-VALUE OPPORTUNITY with an already well-established property. Seize the moment ... R Liquor License is not included in sale price (and optional at $350,000). Motivated Seller ! Listing courtesy of Roi National Realty Corp.